Dubai: In just about two years, millions of visitors from around the world are expected to descend on Dubai for the World Exposition 2020 and all eyes will be on a massive venue located in the Dubai South district, near the Al Maktoum International Airport. But have you ever wondered how the mega site looks like right now? Are there already buildings in place? Will the 438-hectare area be ready by October 2020? With the expo fast approaching, the team working behind it has just released some images to let the public in on how the venue is shaping up. 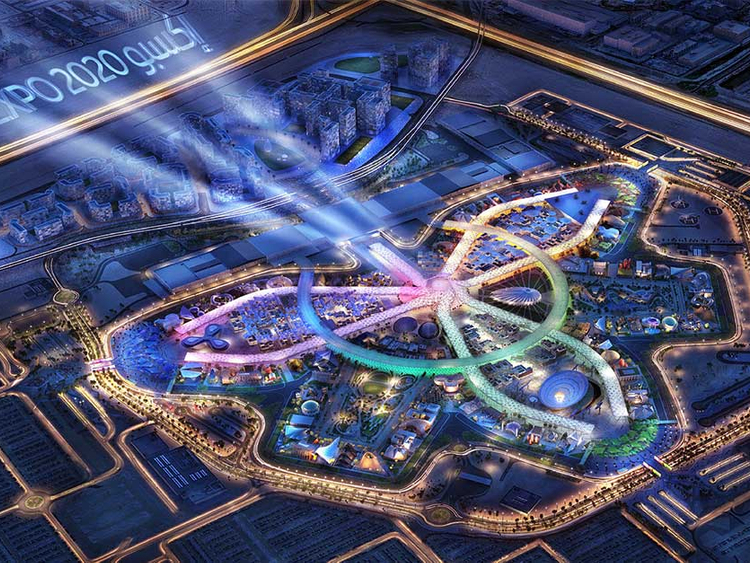 “Our video showcases this month’s bird’s eye footage of the latest progress on site and how the theme districts are all emerging to deliver Expo 2020 to the world,” the team behind the project said. The Al Wasl Plaza includes two main buildings, one will be designated for dignitaries who will be coming to the exhibition, while the other one will be the Media Pavilion. They will later be turned into four-star hotels after the hosting of the Expo 2020 event. The video also showcases the progress of the work on the Sustainability Pavilion, as well as the Route 2020, which will connect Dubai Metro commuters to the site of the world exposition. The global event was earlier envisioned to act as an economic catalyst for Dubai, creating thousands of jobs and business opportunities. The Expo Bureau has already started recruiting 30,000 volunteers to help with the event, and so far, more than 7,000 people have signed up. The House of Volunteers, a space dedicated to host the volunteers, was unveiled in Jebel Ali on Monday.